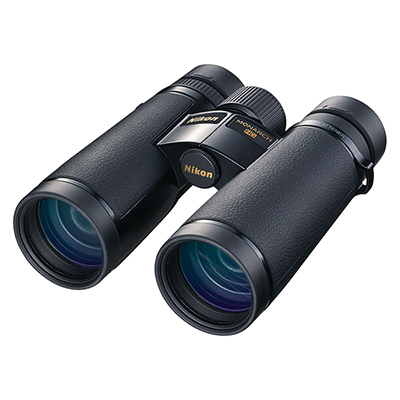 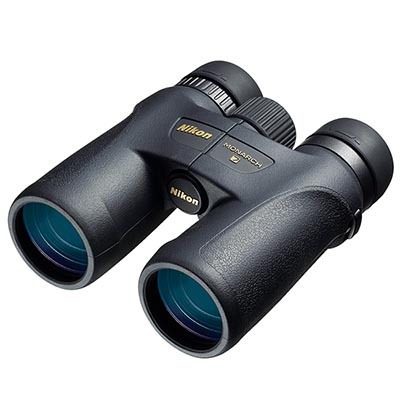 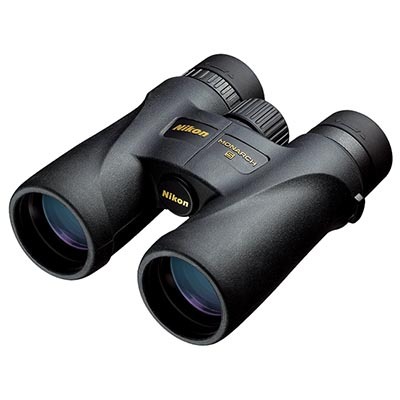 The Nikon MONARCH series is the most popular Nikon binocular line with a distinguished record of success and a large following. 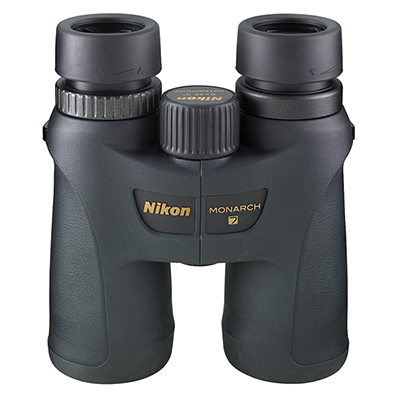 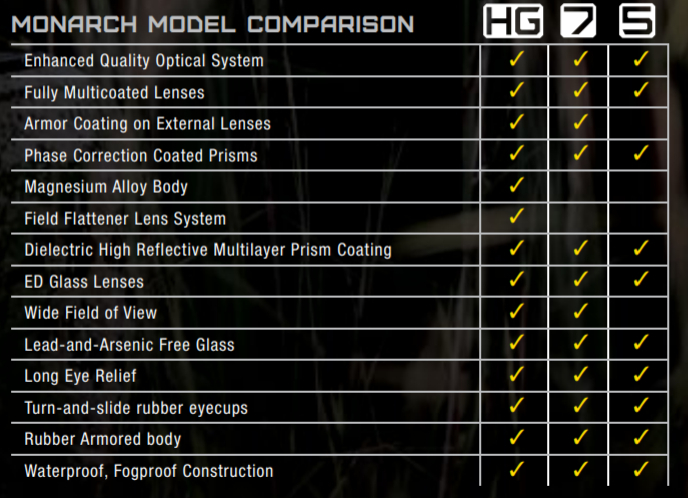 All MONARCH binoculars include fully multicoated Extra-low Dispersion (ED) glass lenses for excellent brightness and resolution even in lighting extremes. 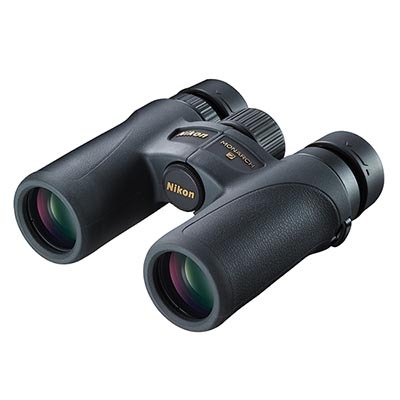 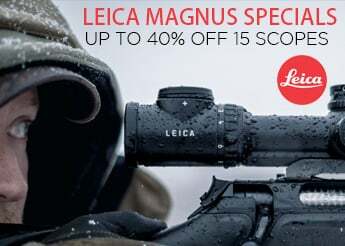 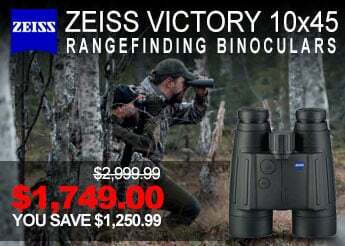 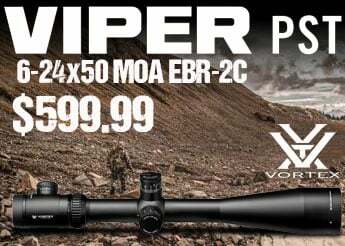 These binoculars are fogproof and waterproof with the use of nitrogen gas and O-ring seals so you can stay out a little longer when the weather gets not so delightful. 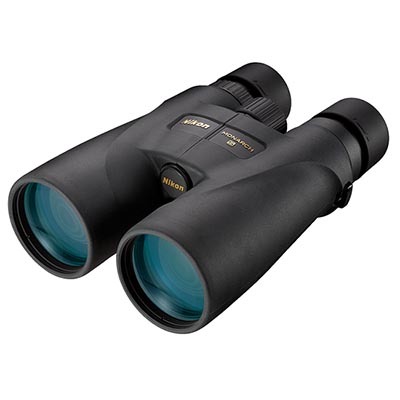 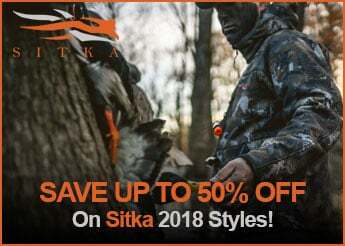 Along with performance in a multitude of weather and light conditions, most MONARCH binoculars are ATB or All Terrain Binoculars with their rugged rubberized armor that makes for an easy and comfortable grip. 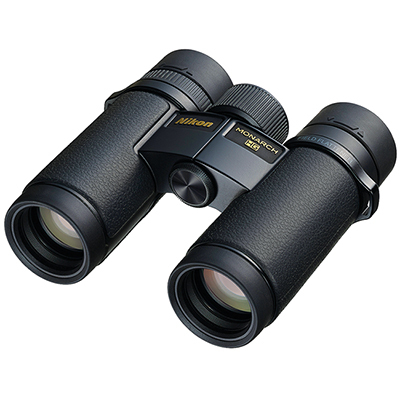 Find the MONARCH binoculars that fit your next adventure today!